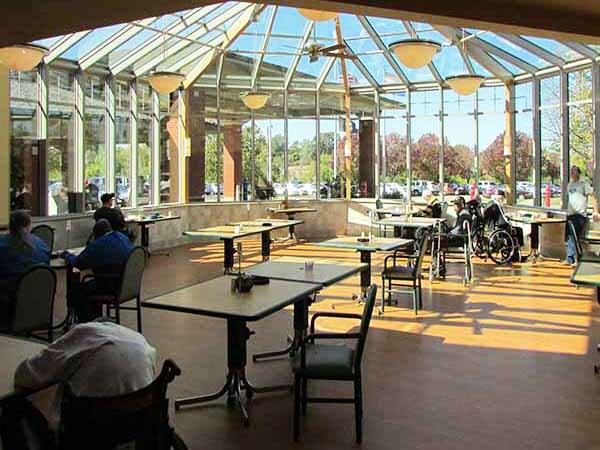 When Missouri veterans are in need of long-term skilled nursing care, they have a network of facilities in the Missouri Veteran’s Homes. 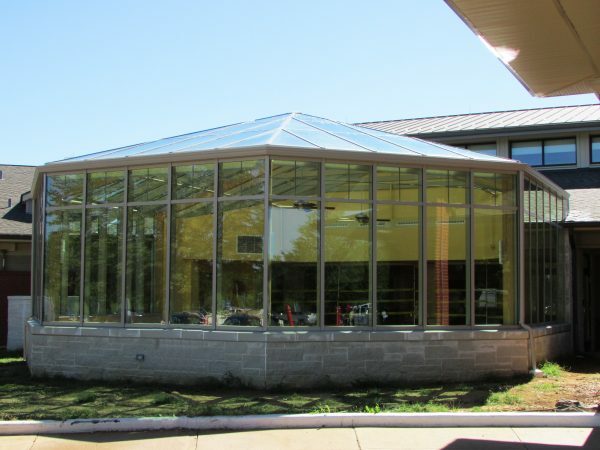 The facilities located throughout Missouri provide care for 1350 of America’s finest. 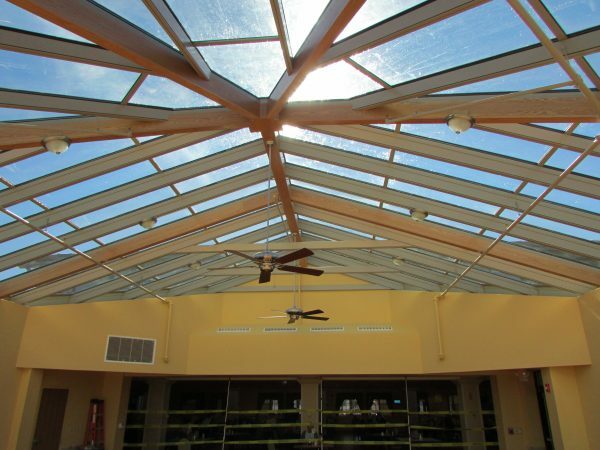 In addition to the excellent food, the homes provide recreational and rehabilitative therapy, social services and pastoral services. 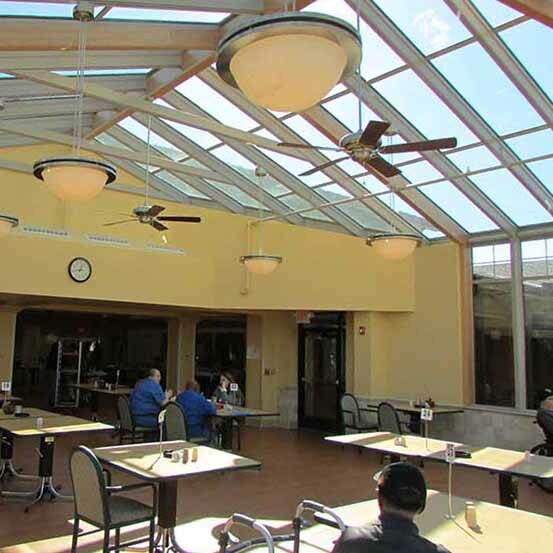 The residents have all honorably served the country and an exceptional level of care is well deserved. The Veteran’s Home in St. Louis is also home to a beautiful conservatory by Crystal Structures. 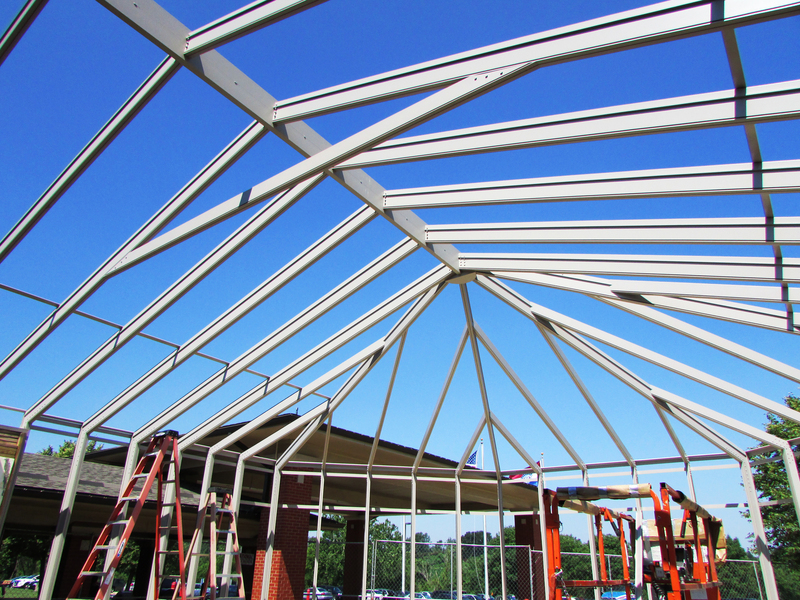 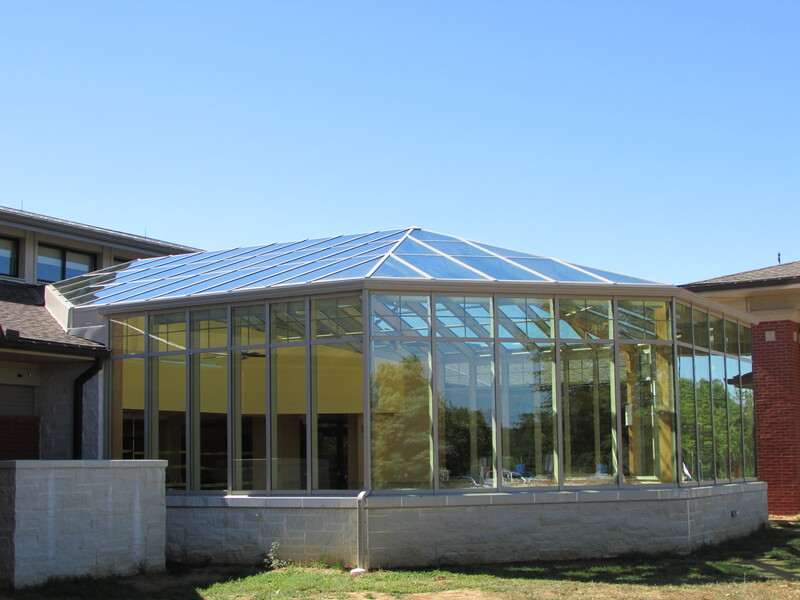 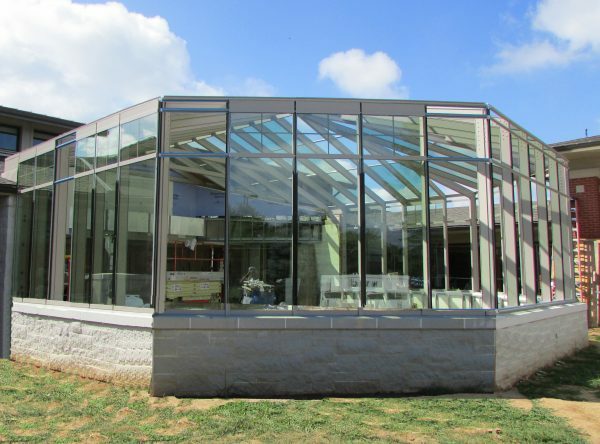 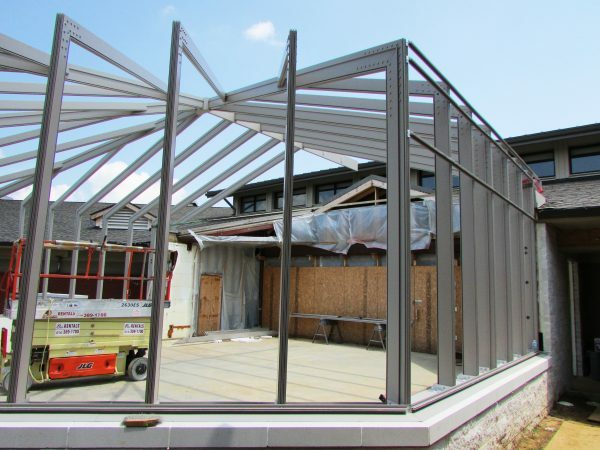 Used as a day room and cafeteria, the conservatory is a 25′ x 35′ addition near the main entrance of the facility. 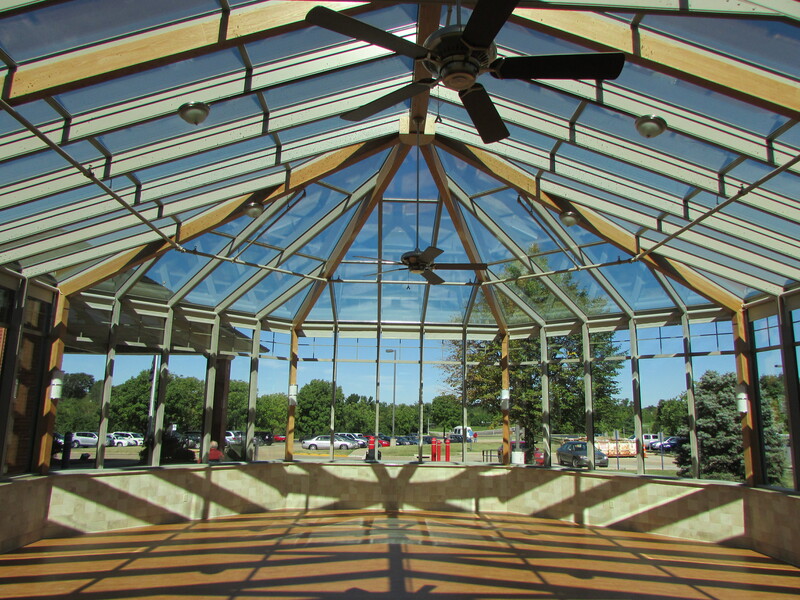 The conservatory glazing is a dual pane Low E type which prevents heat loss and heat gain. 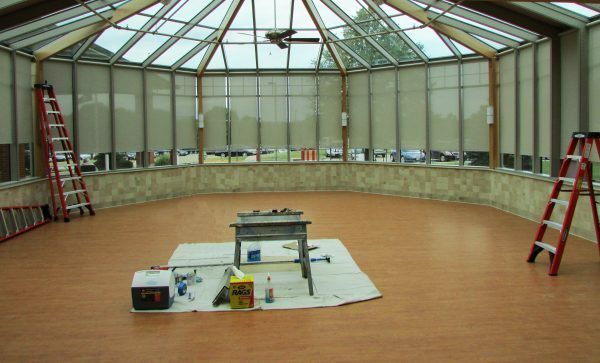 It features Comfort Glide Shades© to help keep the room comfortable all times of the day. The shades also prevent heat loss at night when the room isn’t in use.